Kerry Swanson is a seasoned arts professional with over thirteen years experience leading change at both grassroots and institutional levels. While Associate Director of Granting at the Ontario Arts Council, she led the design and launch of the Indigenous Culture Fund. At the Toronto Arts Council, Kerry launched multiple new funding programs and created TAC’s first Indigenous Arts Projects program. Kerry is the former Executive Director of imagineNATIVE where she worked for six years of extraordinary growth and innovation. She was co-curator of the exhibition Shapeshifters, Time Travelers and Storytellers at the ROM, co-editor of the book Code Territories: Tracing Indigenous Pathways in New Media Art and co-author of the report Indigenous Feature Film Production in Canada: A National and International Perspective. She also worked as Producer on the award-winning film The Underground, directed by Michelle Latimer. Kerry has a Masters in Communication and Culture from Ryerson and York Universities. She was born and raised in Chapleau, northern Ontario, in a family of Cree/Ojibwe, Irish and French heritage. She is a member of the Michipicoten First Nation, with familial ties to the Chapleau Cree First Nation. Melanie Hadley is the executive in charge of production, drama at CBC a member of the National Screen Institute’s Board of Directors. As executive in charge of production for CBC Drama, Melanie oversees projects in development and production. The properties she manages on behalf of the network include such titles as Heartland, Pure, The Secret Path and When Calls the Heart. She joined CBC with over 15 years of experience working in independent production and for a national broadcaster. Prior to her role at CBC she was the manager of programming for Aboriginal Peoples Television Network (APTN) where she managed development and first- and second-window licencing for television and digital media projects commissioned from Saskatchewan, Manitoba, Ontario and the Northwest Territories. Melanie got her start in the industry through the NSI Aboriginal Youth Pilot Project (now CBC New Indigenous Voices). Pauline Shirt was born and raised in Saddle Lake Reserve, Alberta. Pauline is greatly recognized for her commitment to the Toronto Native community and for her dedication as a teacher and lecturer since the late sixties. She is a member of the Three Fires Society and the Buffalo Dance Society. Pauline Shirt, a Founder of the First Nations School and the Red Willow, are just two examples of her hard work ethic and perseverance to enhancing the betterment of the Toronto Aboriginal community. Today, Pauline serves as a mentor to many Aboriginal youth and young families as an experienced and trusted Grandmother. She also works in all levels of government conducting Opening Prayers and attending meetings, making sure the Aboriginal community is positively recognized as she offers a voice for her people. 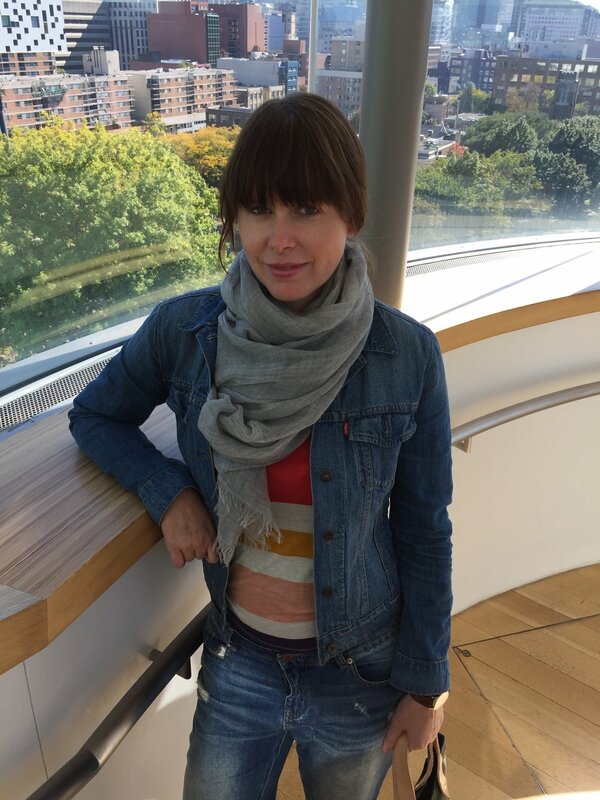 Paula Devonshire a feature film producer based in Toronto, Canada. Her first films were UNLEASHED and THE BEGINNING, sequels to the critically acclaimed feature trilogy GINGER SNAPS. She produced the features REAL TIME, George Romero’s DIARY OF THE DEAD and SURVIVAL OF THE DEAD, WET BUM and the DARK STRANGER. Paula also co-produced on Atom Egoyan’s latest feature REMEMBER. Her most recent feature, the award winning INDIAN HORSE is set for release in theatres in spring 2018. Paula is the Treasurer for the Board for ImagineNative, sits on the CMPA Feature Film Committee and is a member of the Directors Guild of Canada. Paula is a member of the Mohawks of the Bay of Quinte First Nation. Anne Pick is a highly respected award-winning documentary and factual series producer, director, and story-editor. Born in Australia, she worked as a print and television journalist before settling in Canada, freelancing with the CBC then establishing her own company, Real to Reel Productions. Her early films focused on social and political issues, but over the years her slate has broadened to include history, pop culture, biography, science and natural history. Over the past four she has concentrated on feature documentaries and international co-productions. Anne was a founding board member and former co-chair of Hot Docs; former co-chair, of Documentary Organization of Canada’s Toronto Board; former vice chair of DOC National and a founding Board Member of the Children’s Aid Society Foundation of Ontario. Currently Anne sits on the Board of Canada’s prestigious indigenous ImagineNative Film and Media Festival as well as various industry advisory committees. Apart from her many film awards Anne was awarded the prestigious Hot Docs Don Haig Award in acknowledgement of her body of work, contribution to the industry and mentorship of emerging filmmakers. Kona Goulet is the Director, Inclusion at BMO Financial Group. She oversees BMO’s diversity & inclusion strategies across Canada. As a Cree Métis professional, she has lived, worked and studied in more than a dozen countries across four continents over the last twenty years. Kona’s international experience is across both the corporate and non-profit sectors with a focus on business development, and cultural change management. Previously she consulted for Indigenous Works and served as VP, External Affairs for the White House Project advising Fortune 500 companies on diversity and inclusion strategies. Kona is originally from a small Cree community in northern Saskatchewan. Kona received her executive MBA from St. Gallen University in Switzerland and Rotman School of Management in Toronto where she graduated as class valedictorian in 2013. Jason Edward Lewis is Professor of Design and Computation Arts at Concordia University. He is a digital media artist, poet and software designer. 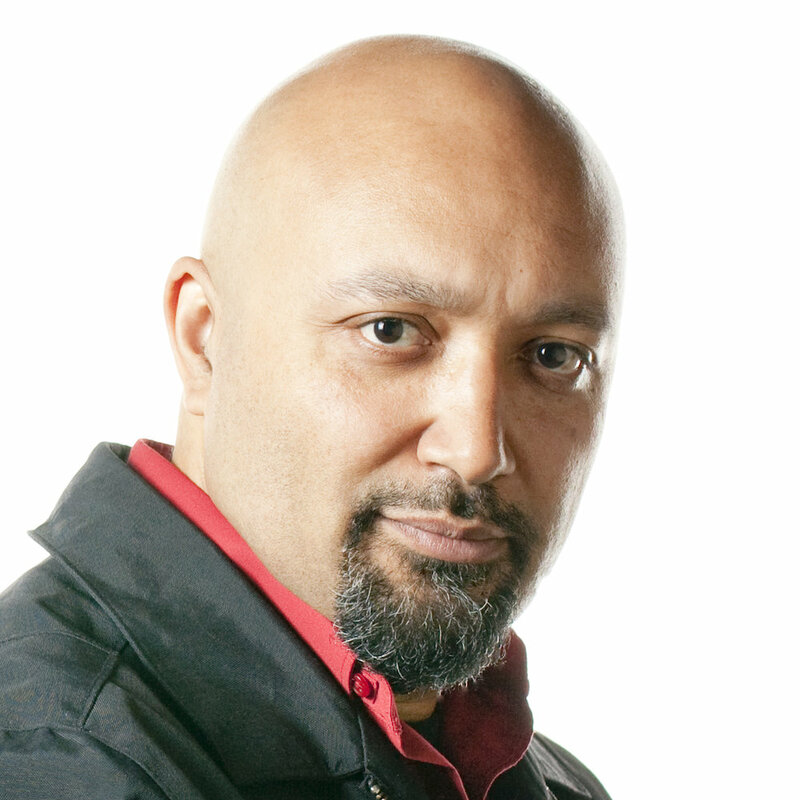 He founded Obx Laboratory for Experimental Media, where he directs research/ creation projects using virtual environments to assist Aboriginal communities in preserving, interpreting and communicating cultural histories, devising new means of creating and reading digital texts, developing systems for creative use of mobile technology. He is the director of the Initiative for Indigenous Futures, a seven-year SSHRC-funded Partnership focused on how Indigenous communities imaging themselves seven generations hence. Lewis co-founded and co-directs the Aboriginal Territories in Cyberspace research network that is investigating how Aboriginal people can participate in the shaping of our digital media future, and co-directs workshop combining traditional stories and game design at the Kahnawake First Nations' high school. He is deeply committed to developing intriguing new forms of expression by working on conceptual, creative and technical levels simultaneously. Lewis' creative work has been featured at the Ars Electronica Center, ISEA, SIGGRAPH, Urban Screens and Mobilefest, among other venues, his writing about new media has been presented at conferences, festivals and exhibitions on four continents and his work with Aboriginal Territories in Cyberspace has won multiple awards. 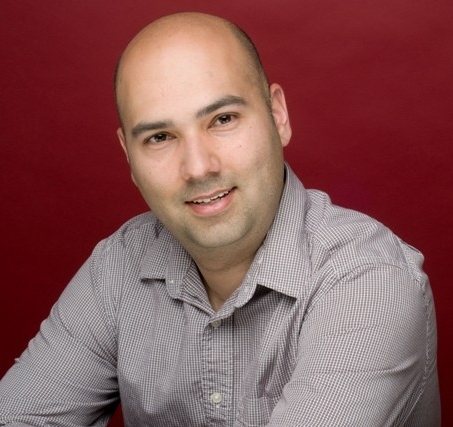 Alan Bacchus, a graduate of Queen’s University and the Vancouver Film School, is a Toronto-based film industry professional, writer, and filmmaker. As Programs Manager at Bell Media’s Harold Greenberg Fund, Alan is responsible for managing the Script Development Program, the Short-to-Features Program and other Fund initiatives. Alan oversees the adjudication process and works closely with the Fund’s clients to ensure the creative and administrative needs of both the Fund and the individual projects are met. Prior to the Fund worked at the Canadian Film Centre, Capri Films, and Norflicks Productions, in a number of development and production capacities. As a filmmaker Alan has produced and directed a number of short films. In addition Alan has written for a number of film publications. His film reviews for Exclaim! magazine as well as his personal blog Daily Film Dose are another means of expression for his love of film. Darlene Naponse is an Anishinaabe Kwe from Atikameksheng Anishnawbek, Ontario. She was born and raised in her community and now works out of her studio located in Atikameksheng Anishnawbek. She is a writer, film director, and video artist. Her film work has been viewed internationally including the Sundance Film Festival in 2001/2002/2003. She worked with community leaders and elders to write and ratify the Atikameksheng Anishnawbek Gchi-Naaknigewin (Constitution). She continues governance and First Nations land/human rights work in her community. Darlene has built a wide range of work. She is passionate and pure as an independent artist. She remains creative control in all her films and continues to work with dedication to the protection of story, appropriation and respect to imagery, history, and tradition of First Nations people. Her work is deeply connected to her community, First Nations realities of the 21st century and Mother Earth. Darlene is honoured to listen to stories of sadness, rejoice, hope, rejection, reflection, optimism and an understating of just who we are as Native people living on Mother Earth. As a storyteller, Darlene is in search of imaginative images giving truth through word, film, art and song. Peter Morin is a Tahltan Nation artist and curator. Throughout his artistic practice, Morin investigates the impact zones that occur when Indigenous practices collide with Western-settler colonialism. Morin’s practice has spanned twenty years so far, with exhibitions in London, Berlin, Singapore, New Zealand, as well as across Canada and the United States. In addition to his exhibition history, Morin has curated exhibition for the Museum of Anthropology, Western Front, Bill Reid Gallery, and Burnaby Art Gallery. In 2016, Morin was received the Hnatyshyn Foundation Award outstanding achievements by a Canadian Mid-Career Artist. In 2018, Morin and his collaborator Ayumi Goto completed an exhibition How Do You Carry the Land? at the Vancouver Art Gallery.. Morin holds a tenured appointment in the Faculty of Arts at the Ontario College of Art and Design University in Toronto.